Maurice Joseph Micklewhite, or as he is commonly known as, Sir Michael Caine, signed my quick sketch at his London agent’s office. I drew it after attending the launch of his latest book, Elephant to Hollywood at the British Film Institute in 2011 and carried it around hoping to see him at a premiere or theatre opening night. That never happened. I used to see him at the occasional event, but his appearances have been minimal lately. Sir Michael is an excellent signer, either in person or through the mail, with an efficient, no frills siggy… similar to his legendary cockney accent and acting style. 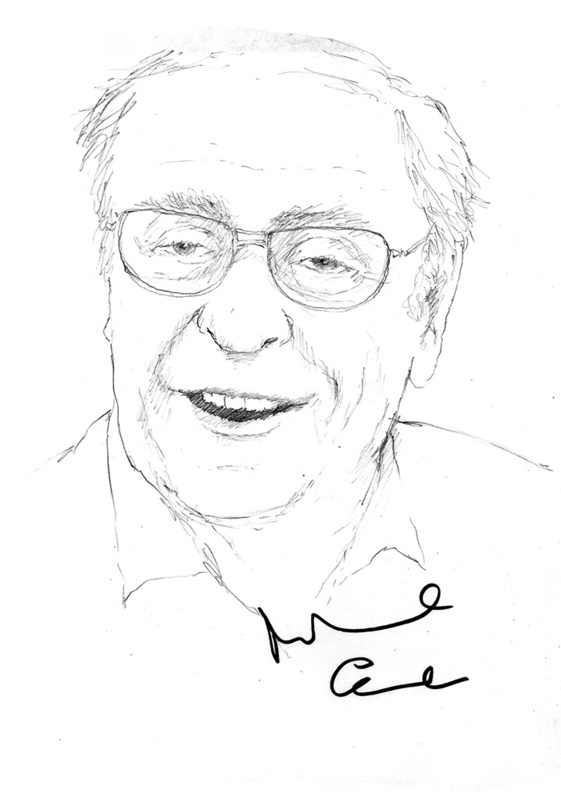 This entry was posted in Celebrity, Film and Television and tagged Autograph, Drawing, Michael Caine, Signature, sketch by Mark Winter / Chicane. Bookmark the permalink.